Mitral valve prolapse (PMC) is also called clot-grip syndrome, flexible mitral valve syndrome, and Barlow syndrome. This valvular heart disease is characterized by the displacement of the anomalously thickened mitral valve flap into the left atrium during systole. It is considered the primary form of myxomatous degeneration of the valve.There are different types of PMCs, widely classified as classical and nonclassical. In its nonclassical form, PMC is associated with a low risk of complications and can often occur with minimal disruption. In severe cases of classic MVP complications include mitral regurgitation, infective endocarditis, congestive heart failure and, in rare cases, cardiac arrest. The definition of "mitral valve prolapse" was coined by J. Michael Creeley in 1966 and was recognized by another name, "bloating of the mitral valve", which was first proposed by the described pathology John Brereton Barlow [1 - Barlow JB, Bosman CK (1966). "Aneurysmal protrusion of the posterior leaflet of the mitral valve." An auscultatory-electrocardiographic syndrome. " Am Heart J. 71 (2): 166-78]. The diagnosis of PMC is based on echocardiography data, which uses ultrasound to visualize the mitral valve. Thanks to this method, the prevalence of PMC has decreased and today it is 2-3% of the population. Treatment PMK.plavitsya in the presence of serious complications or severe symptoms. Surgery is most often performed. Video: Mitral valve prolapse: heart disease, which is vital in time to recognize! The task of the mitral valve (MC) is to create a unidirectional movement from the left atrium to the left ventricle. In the classical case, the mitral valve consists of two valves. The prolapse of the mitral valve is accompanied by an excessive increase in one of its valves, which contributes not to a sufficiently tight closure of the valve during each heartbeat. Uneven closure leads to a "swelling" of the affected leaf, which facilitates the return of a small amount of blood from the ventricle to the atrium. 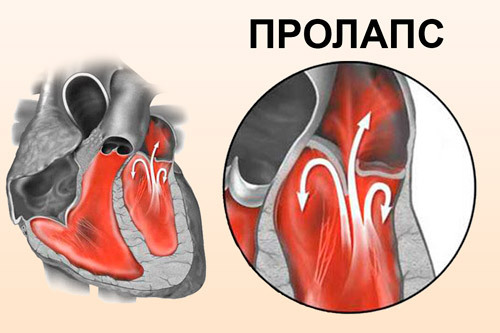 In most cases, with prolapse, the valve continues to perform its basic function, therefore, the work of the heart is not disturbed. In 2% of the people with the PC, another structural change in the valvular apparatus is observed. PMC is most often determined at the age of 20-40 years and due to modern instrumental diagnostic methods the incidence rate decreased significantly. At the first degree of prolapse of the mitral valve, the valves deviate toward the left atrium by 3-6 mm . The mitral valve, named so because of its resemblance to the bishop's miter, is a heart valve that prevents the reverse flow of blood from the left ventricle into the left atrium of the heart. It consists of two valves, anterior and posterior, which closes when the left ventricle is contracted. Each leaf consists of three layers of tissue: atrialis, fibrosis and spongiosis. In patients with classic mitral valve prolapse, excessive connective tissue is identified, which thickens the spongiosis and separates collagen beads in fibrosis. This is due to the increased amount of dermatan sulfate, glycosaminoglycan. This weakens the flaps and adjacent tissue, which leads to an increase in the area of the flaps and the lengthening of chordal components. Increasing the length of the chords often leads to the rupture of the chords themselves, attached to the posterior wing.The development of the lesion facilitates the folding of the fold into the fold, its inversion and displacement into the left atrium. Mitral valve prolapse is considered a hereditary heart disease with increased gene expression in boys (2: 1). The most common form of inheritance is an autosomal dominant transmission type, but X-related inheritance is described. Rheumatism, which is a developing autoimmune reaction to certain types of streptococci. It is characterized by the defeat of other valves and joints. Ischemic heart disease affecting the papillary muscles and chords, which can break with myocardial infarction. Traumatic abnormalities, which usually lead not only to PMC, but also to more serious pathological conditions. PMC usually develops as an isolated disorder. It often occurs due to hereditary disorders of connective tissue, including Marfan syndrome, Ehlers-Danlos syndrome, inferior osteogenesis and elasticity of the pseudo-xanthoma. PMC is also described in connection with the defect of the interatrial septum and hypertrophic cardiomyopathy. In fact, 75% of patients with Marfan syndrome have PMP because of the large size of the mitral valves and the valve apparatus as a whole, which is often associated with myxomatous degeneration. In the 1970s and 1980s, PMC was redefined due to the absence of strict echocardiographic criteria, while the prevalence of the disease was reported to 15%. Subsequently, Levin et al. 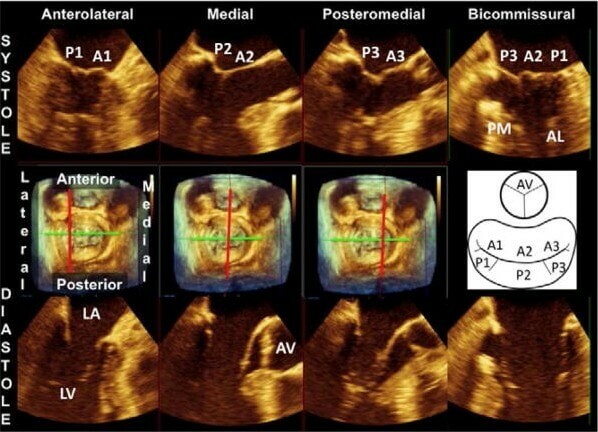 Reported that the two-dimensional echocardiographic characteristic of prolapse, especially on the parasternal longwave representation, is most specific for the diagnosis of MVP. Using these criteria allowed to prevent overdiagnosis. Data from the community-based Framingham Heart study showed that PMP syndrome occurs in 2.4% of the population. PMC is observed in people of all ages. Prevalence of PMC was the same among men and women in the Framingham Heart study. According to other calculations, the disease is most often found in women of young age. However, complications associated with PMC are mainly determined in men. Additionally, in studies conducted by the Mayo Clinic, women were more likely to have prolapse of the anterior and two valves and less often mitral regurgitation compared to men. They are also less likely to undergo mitral surgery than men. A slight increase in temperature in the absence of infectious diseases. Since PMK is often combined with vegeto-vascular dystonia, its symptoms can be additionally noted. With a grade 1 mitral valve prolapse, slight regurgitation of blood can occur, so cardiac noise typical for PMC at this stage of development can not be identified auscultately. A more accurate study will be needed to make the diagnosis. Echocardiography makes it possible to judge the condition and operation of valves most clearly. If Doppler is additionally used, then it is possible to estimate the volume of blood and the rate at which it returns to the left atrium during systole (contraction of the ventricle). ECG is an auxiliary method of diagnosis, since it does not reflect the full extent of the changes accompanying PMP. Classic PMC: a parasternal long-axis view shows the displacement of the mitral valves in the left atrium during systole by more than 2 mm with a leaf thickness of at least 5 mm. Nonclassical PMC: the displacement of the leaf is more than 2 mm, with a maximum leaf thickness of less than 5 mm. 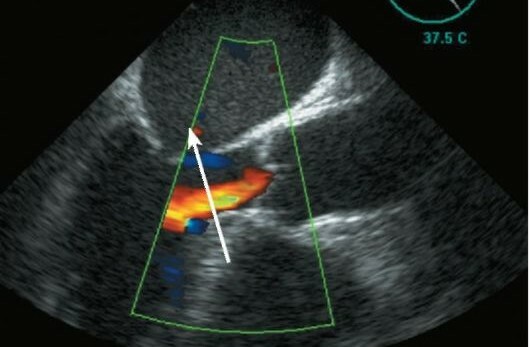 Other echocardiographic data, which should be considered as criteria for diagnosis of PMC, are valve thickening, connective tissue redundancy, ring dilatation, and elongated chords. 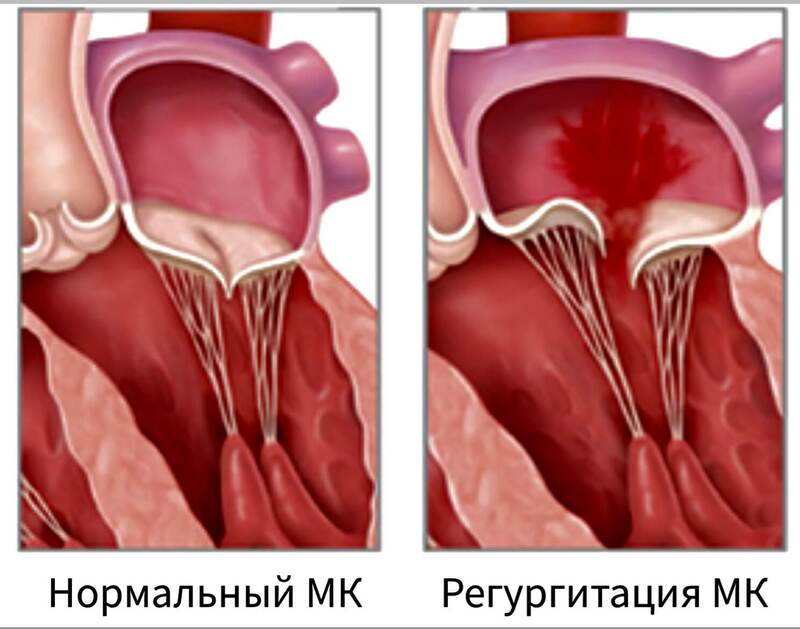 Treatment of mitral valve prolapse grade 1 in some cases is not carried out. This refers to the asymptomatic course of the disease. Children have no restrictions for physical exercise, but professional sports are undesirable. In asymptomatic disease, a benign prognosis should be confirmed, and initial echocardiography for risk stratification must be performed. If the study showed clinically significant mitral regurgitation and no thin valves are observed, then medical examinations and echocardiographic examinations are conducted every 3-5 years. Additionally it is recommended to lead a normal, healthy lifestyle with sufficient physical activity. In the absence of atrial fibrillation, antibiotic therapy is performed, and the use of clopidogrel or aspirin to modify risk factors may also be considered. It is important to stop smoking and use oral contraceptives. In the presence of atrial fibrillation, appropriate anticoagulant treatment is performed, especially when there is a stroke / transient ischemic attack (TIA) in the history of the disease. Anticoagulants, which are prescribed rarely, only in the presence of thrombosis. Periodically visit specialized sanatoriums where they perform general strengthening massage, acupuncture, mud therapy, etc. Surgical intervention at the first degree of mitral valve prolapse is not shown. In some cases, herbal therapy is recommended, which includes the use of infusions of various mixtures containing the motherwort, hawthorn, sage, St. John's wort. Prophylactic measures can be performed only with a secondary heart failure. In this case, timely treatment of foci of chronic infection is necessary. The use of hypercholesterolemia also has a beneficial effect. During the initial valve change and asymptomatic illness, the prognosis is favorable. Most often when performing medical recommendations, patients with PMD 1 degree can lead a normal life. Also, in this case, pregnancy and birth in a natural way are not contraindicated. Patients with PMC of 1 degree should undergo ultrasound of the heart annually to detect possible changes in a timely manner. Cardiac arrhythmias: usually these are only benign premature cardiac contractions that do not need medical treatment. Sometimes they may have a sustained supraventricular tachycardia that requires further, more specific, medical therapy. Very rarely reported on sudden cardiac arrest due to ventricular tachycardia, which is life-threatening. Inflammation of the internal components of the heart valves, called endocarditis. 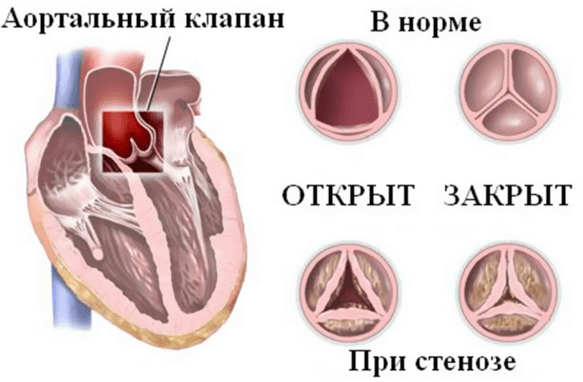 Video: Treatment of mitral valve prolapse, how to treat it?